Prepare for an epic journey. Sir Francis Drake’s perilous round-the-world voyage is the stuff of legend. Drake took four viol players with him on his expedition, who played for the sea captain, as well as the native peoples they met. Weaving together music of the period with new music written by Orlando Gough, inspired by 15th-16th century composers, Fretwork explores Drake’s circumnavigation with the help of a special guest narrator, Downton Abbey star Paul Copley*. 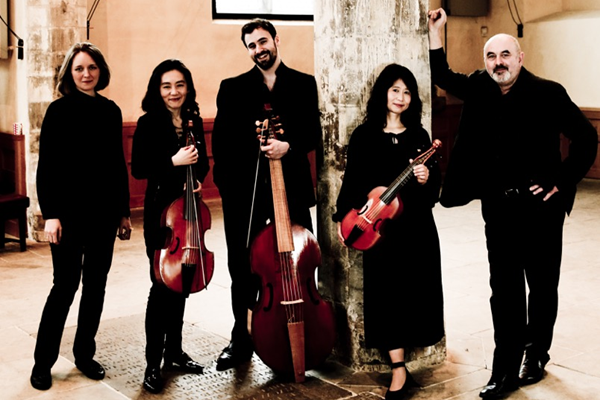 With original 16th century hymns and music from composers including John Tavener and Robert Parsons, be swept away by expert narration and the stunning sounds of Fretwork’s six-player viol group.